Amami people take great pride in their island's folk music. 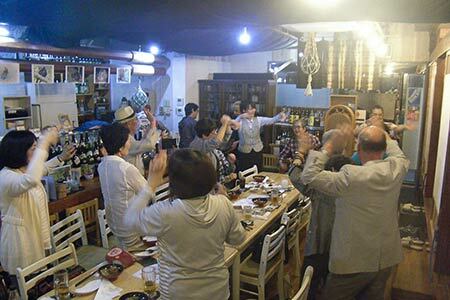 They love to spend an evening drinking, singing and dancing. 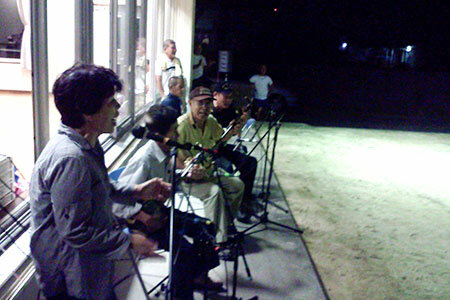 Local musicians often bring their own sanshin, a banjo-like musical instrument, to such gatherings. The singing is always accompanied by the sanshin and sometimes by drumming. Amami singers use a special technique to control their voice that emphasizes the high-pitched falsetto register, unlike in Okinawa. These singers raise and lower the pitch of their voice, smoothly switching back and forth between a natural and a high falsetto register to express the powerful emotions of the songs. The tone of some Amami folk songs is much like those heard in mainland Japan, while others have the same tone as Okinawa's. Amami folk songs are almost always accompanied by the expressive tones of the sanshin. A sanshin, or shamisen in standard Japanese, is a banjo-like instrument with three strings and a long, slim neck. 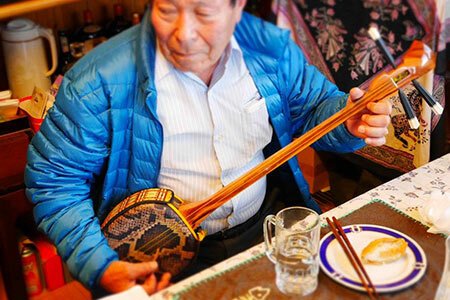 To play a sanshin, musicians use a pick instead of their fingers. 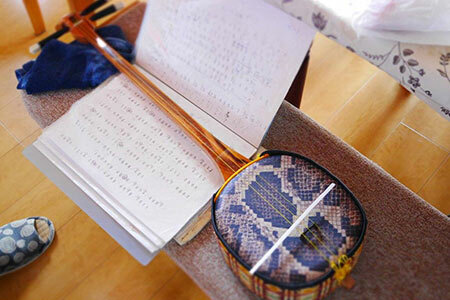 These instruments are played all over Japan; however, certain details vary according to region. In Okinawa and Amami, snakeskin is stretched across the body of the sanshin to intensify reverberation. 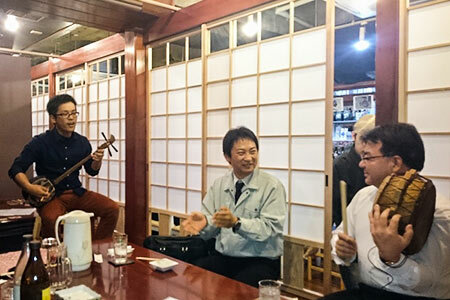 Traditional Okinawan sanshin picks are made from buffalo horn to create a strong bass sound, while Amami musicians use bamboo picks to produce delicate high notes. Until recently, picks in mainland Japan were made of ivory, but now manufacturers use resin. 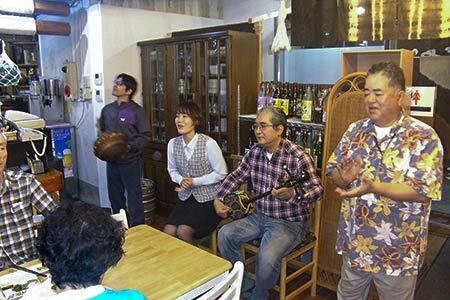 People who can sing Amami folk songs are highly respected "utasha," or song masters. They are local superstars, often invited to perform at festivals and other events. Amami utasha are well-trained in various vocal techniques such as tremolo, portamento and smooth tempo changes in the high falsetto register to express the emotions of the songs. These days some artists are applying their talents outside the boundaries of traditional island music. A new generation of musicians from Amami are trying to branch out into other genres like pop and jazz, working hard to build up a successful reputation. Visitors should not miss out on the chance to hear an utasha perform.